Shengqiao Chen, left, met Zehao Zhou while in prison waiting for asylum. Zhou was his translator. Here, Zhou shares memorabilia with Chen — 20 years after the Golden Venture arrived in the U.S. In 1993, a freighter ran aground off Queens, N.Y. The Golden Venture had nearly 300 people on it who were being smuggled into the U.S. from China. Passengers cited China's forced-sterilization program and governmental persecution from political expression as reasons to climb aboard the Golden Venture. Some paid the smugglers $30,000 to board the ship. An organized crime syndicate would front the money, and the passengers would have to work off the debt, often in restaurants like indentured servants. Some people jumped from the ship, trying to swim ashore. Ten people drowned, while about 200 people were treated for exhaustion and exposure. Shengqiao Chen was among 110 people smuggled in the ship who were detained in U.S. prisons while they waited for political asylum. 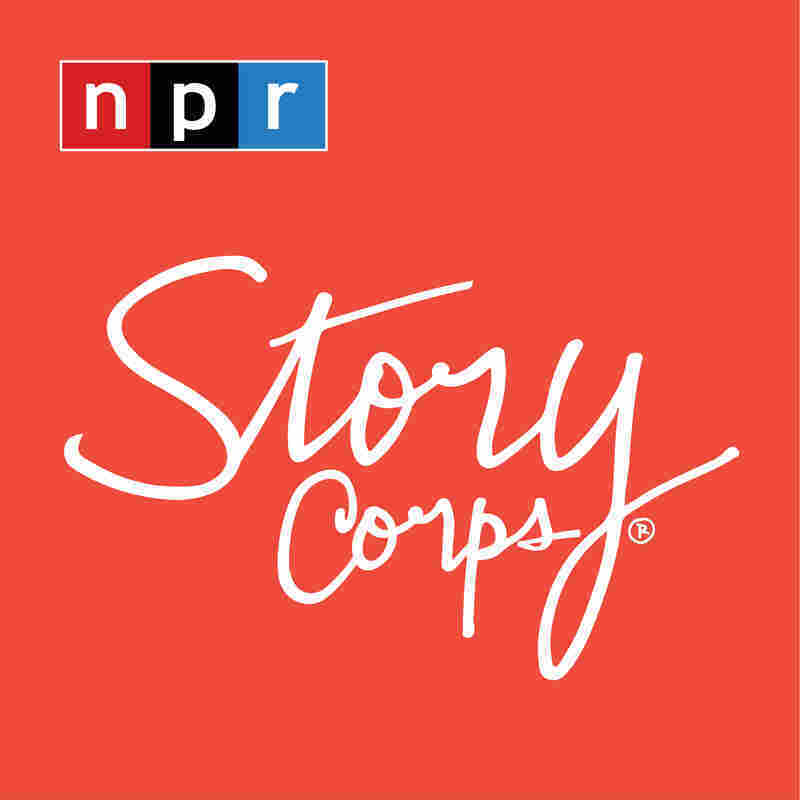 "After three months, we finally see the land," 38-year-old Chen told Zehao Zhou during a recent visit to StoryCorps in Philadelphia. "They told us, 'This is United States.' "
The two men met while Chen was in prison. Zhou, an academic librarian at York College in Pennsylvania, was his translator. At StoryCorps, Zhou asked Chen how long he swam that day. "You can't really swim. The waves move you back, and I passed out," Chen said. "And then a couple of my friends carried me out of the water. "When I woke up, I was in the hospital," Chen said. "I had my hand handcuffed on the bed." Chen was sent to a detention center in Pennsylvania. "I think the most difficult time is after six months, and you don't know what your future is going to be," he said. Chen's mother thought he was dead and had set up a family shrine for him. Shengqiao Chen spent two and a half years at York County prison while his asylum case was pending. He has been living in the United States for longer than he lived in China, and has no immediate family left in his native Fujian Province. Few people call him by his Chinese given name any longer — his wife and children know him only as Sean. "I have 20 letters that you wrote me while you were detained," Zhou said. "The letters described all the, you know, suicidal thoughts, attempts, people giving up. Remember we had the vigils outside the prison?" Every Sunday, Zhou and others held vigils, while Chen and the other detainees watched through the window. "A lot of us would tear up because there's still good people in the world who have a kindness heart," said Chen, who has now lived in America longer than he lived in China. "I told my mom, I said that, 'I will either die or I will arrive to the United States.' After 20 years, I feel like I'm a part of this country, you know? I would do it again," he said. Chen was released on parole in 1995 and was allowed to wait for political asylum outside of prison. He is still waiting for asylum to be granted, though he is able to work in the U.S. legally while he waits. Audio produced for Morning Edition by Jasmyn Belcher with Matt Martin. Diptychs are composite images by photographer Katja Heinemann who has been working on a long-term photo project about the Golden Venture.